Thus is so sweet. It reminds me of the ' My little pony toys ' when my daughter was a child. Hugs Mrs A. 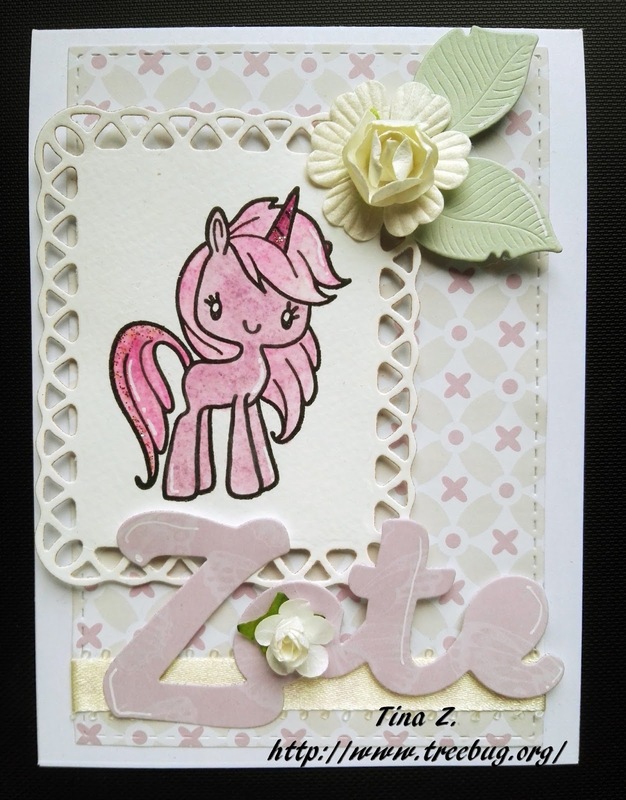 What a cute little unicorn - all done up in pink! Thanks for linking this up to Cropstop and putting us one link closer to our goal of 100! Čudovita voščilnica s prelepim samorogom. Tinina šablona pa je pika na i.
Še dobro, da v moji zbirki ni nič teh krasnih samorogov...ne bi vedela kaj z njimi počet...tebi gre to prav dobro od rok. Such a cutie and I agree with Mrs A it does remind me too of My Little Pony Toys. Such a cute creation! Thanks so much for joining in the fun at our Double D ‘LEAVE it to me!’ challenge! We hope you’ll come back often. Cute card! Thanks for joining the Double D, "Leave it to me" Challenge. Oh how sweet is that pretty pink unicorn! Love the frame die you used too! Thanks for playing along with us at DL.ART October Challenge! Hi Tina, you've made a lovely card with that sweet unicorn. Ojla Tina ! Roza samoroginja, ki se navihano smehlja le ZATE...Prekrasna voščilnica, ki je verjetno razveselila deklico, kajne ?! Such a darling card. So glad you could join us for Viva la Verve.